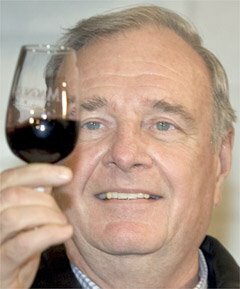 OTTAWA - Former Prime Minister Paul Martin announced today that he will seek the leadership of the Liberal Party of Canada. Mr. Martin, a business man, said he noticed the strikingly low-grade of people who have come forward to enter the race since the previous Prime Minister resigned and said he was pretty sure he could "trounce any of 'em, even if I'm pissed". When a reporter pointed out to Mr. Martin that he was already the leader of the Liberal Party, Mr. Martin replied, "Is that a question"?